For the first time since 2015, Michter’s has released its Toasted Barrel Finish Bourbon, which was launched to much fanfare in 2014. The US-1 Toasted Barrel release is unique because it undergoes a second aging regimen after its initial run in charred oak barrel. This finishing takes place in a custom barrel which is assembled from 18-month air dried wood that is toasted, but not charred. 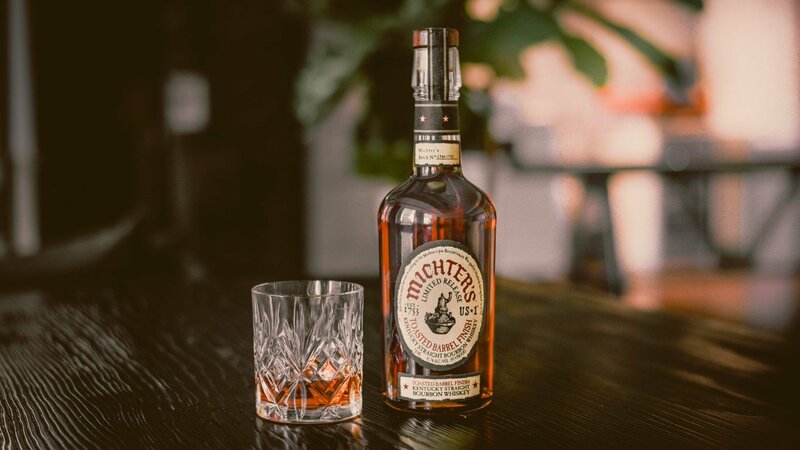 As with the 2015 release, it’s a much different beast than the traditional Michter’s line — which is almost constructed as a lush and high-end, if fairly traditional, whiskey experience. And as with the 2015, I’m left a bit mystified as to what all the fuss is about. The 2018 bottling noses with a significant wood component from the start. Notes of tar, wet earth, and bacon all make strong aromatic waves, with a note of mint lingering underneath and offering a touch of relief from the savory onslaught. The palate is a bit of a surprise, as it’s much more approachable with an initial rush of brown sugar sweetness and the integration of some unusual fruit notes; I get apricot and red apple notes, hardly the usual suspects in the bourbon world. Greener herbs come on fairly strong after that, with a red pepper note giving the whiskey some heat. The finish falls back on wood and leather notes, which linger for quite a while on the tongue. All told, it’s a whiskey that has a lot going on — though the heavy focus remains in the lumberyard — but which never coalesces clearly into a single point of view. 91.4 proof. Reviewed: Batch #18H1193.